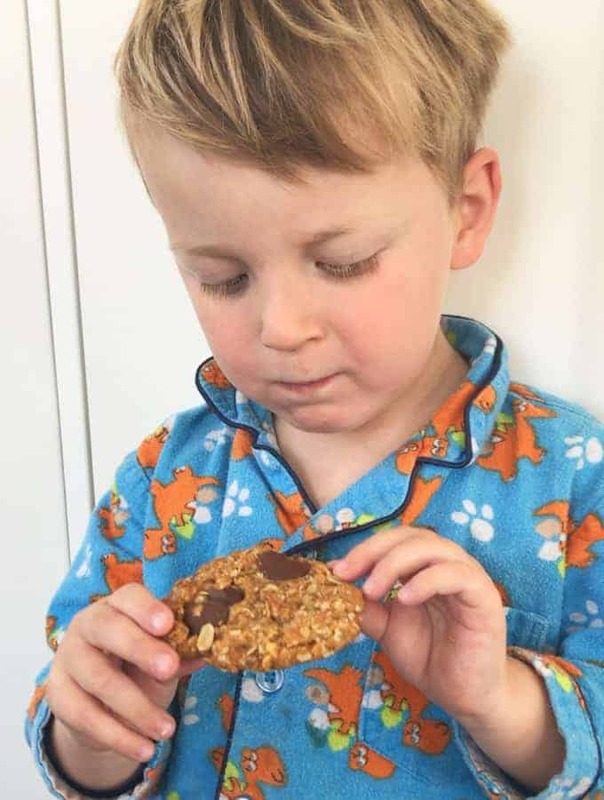 This easy recipe for ANZAC biscuits has the tasty addition of chocolate buttons, it is a great recipe to make with kids and a twist on the Kiwi classic. 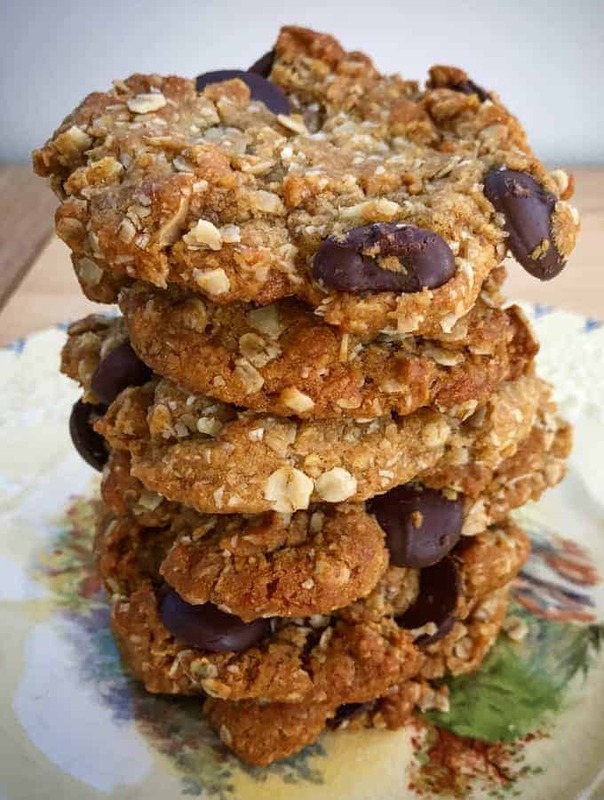 You can’t beat delicious ANZAC biscuits, crispy on the outside and chewy in the middle. 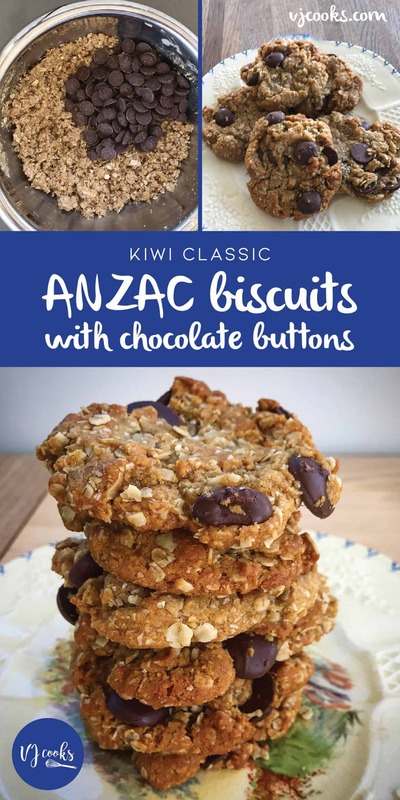 There is something so nostalgic about eating ANZAC biscuits and in this recipe I have added chocolate buttons for a twist on the Kiwi classic. 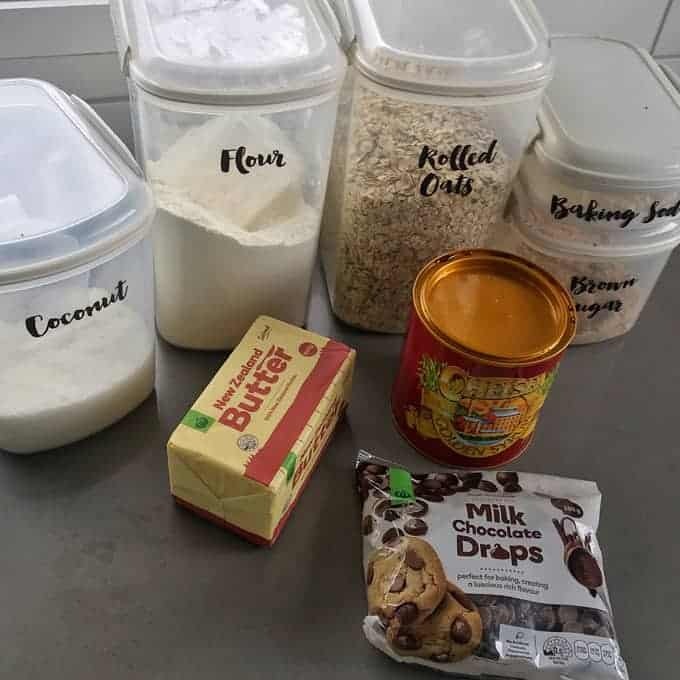 It is such an easy recipe you just add all of the dry ingredients to a bowl, melt the butter and golden syrup and stir it all together. Roll into balls, chill in the fridge and bake in the oven until golden. 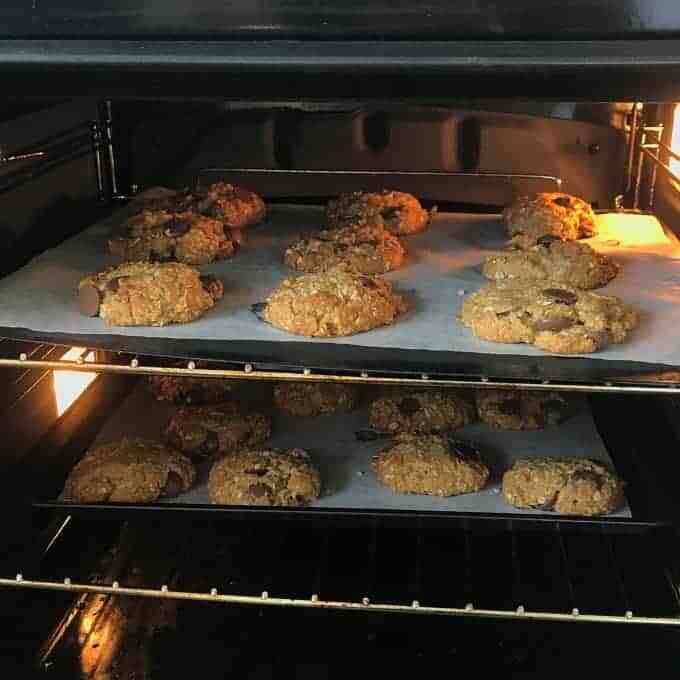 Make sure you chill your balls of biscuit mixture in the fridge for at least half an hour before baking, otherwise they will end up flat and spread very far on the tray, so give them lots of space between each biscuit. 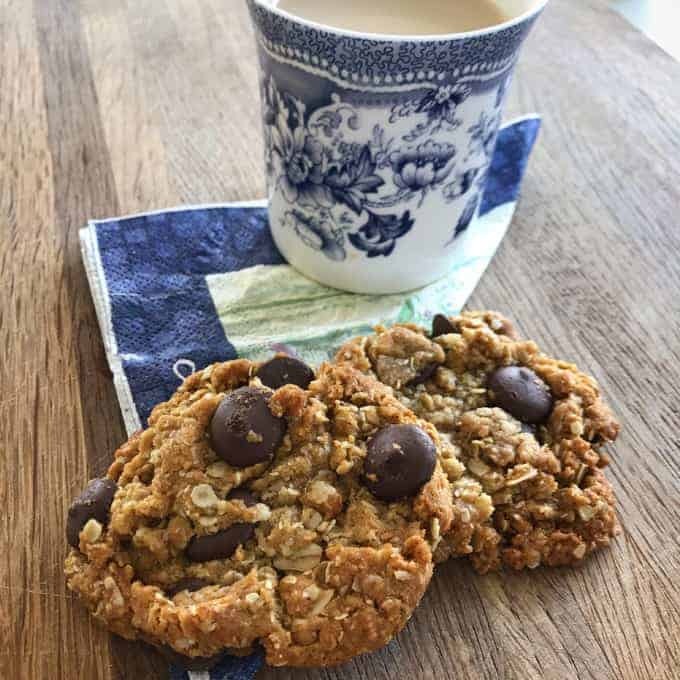 If you want to go for the classic version of ANZAC biscuits you can leave out the chocolate buttons and the recipe will still work perfectly. Or to mix it up you could use white or milk chocolate buttons/chips and they would work well too. 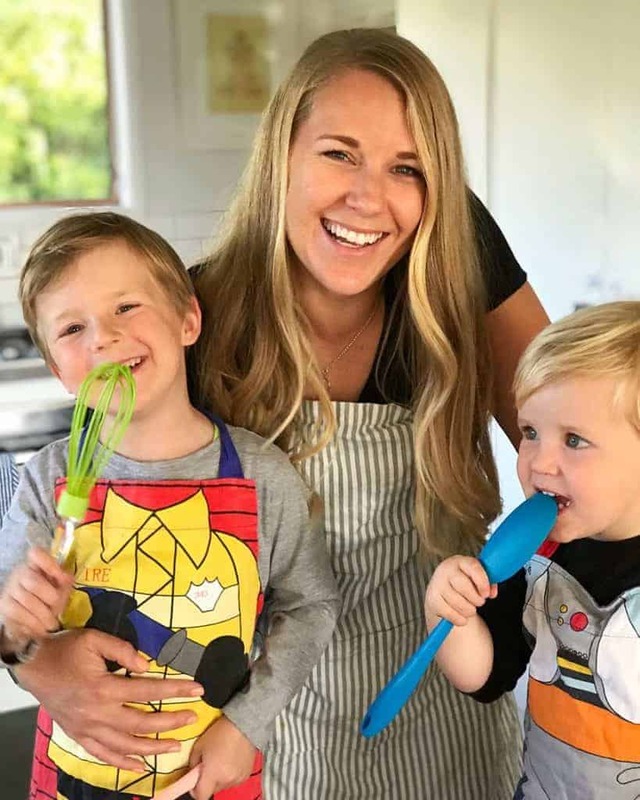 This is a great recipe to make with kids as you can see in the video my son Archie helped me make them and he loved the end result. You can't beat this chocolate twist on the classic Kiwi biscuits. 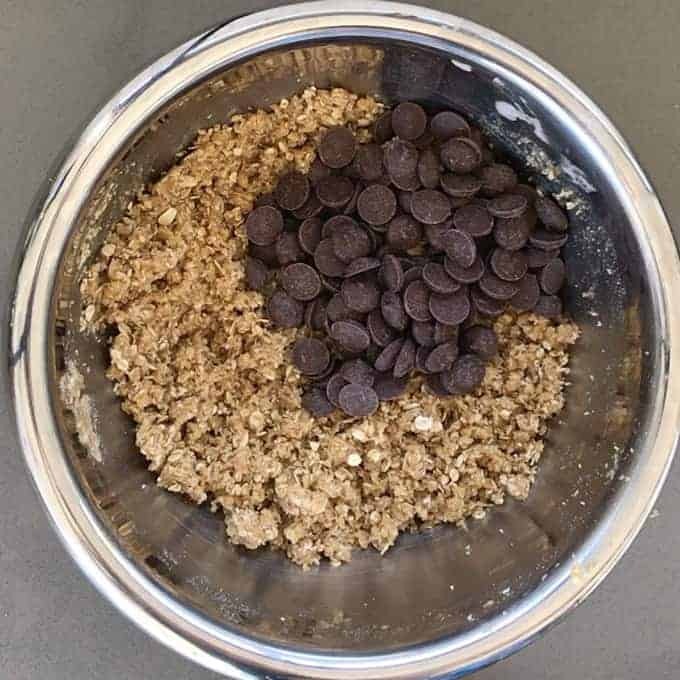 Mix together oats, coconut, brown sugar and flour in a large bowl. In a jug melt together butter and golden syrup in microwave for 30 seconds. Dissolve baking soda in boiling water and add to butter then stir. Add butter mix to dry ingredients and stir to combine. Pour in chocolate buttons and stir together. Chill mixture for 30 mins then roll into balls and place on a lined baking tray. Bake for 15-20 minutes at 160ºC until golden. These biscuits can also be made without chocolate buttons. 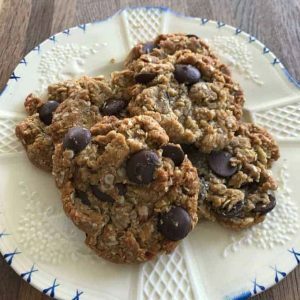 You can swap for white or milk chocolate chips or buttons.